This Airbus A321 side view template was supposed to be as quick and easy as my 777-300 set was, and I jumped into this project thinking it was going to be done in no time. All I needed to do was stretch my A320 files a bit, right? Wrong. 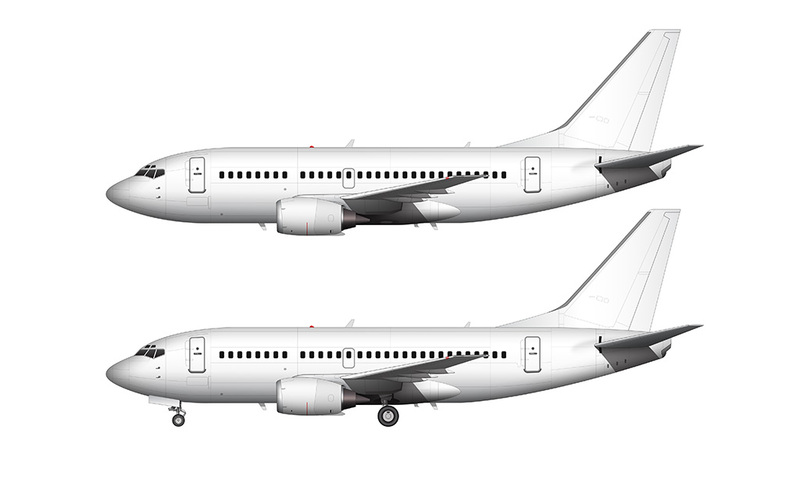 It turns out that I was a bit sloppy when I created those A320 source files, and those vector illustrations were not drawn to scale. Keeping everything the proper scale right from the beginning is important when passing files between Illustrator and Photoshop, and they way I set up these drawings didn’t jive with my new “production line” method of creating these templates. The bottom line is that things were a mess, and I ended up having to redraw a lot of this A321 from scratch. That’s not what I had in mind! But it’s done, and at least I feel good knowing that the changes I made will make it easy to do the A319, which will be my last variant on this fuselage – for now at least, until Airbus creates major modifications to this airframe. On a side note, I’ve never been a big fan of the A321. 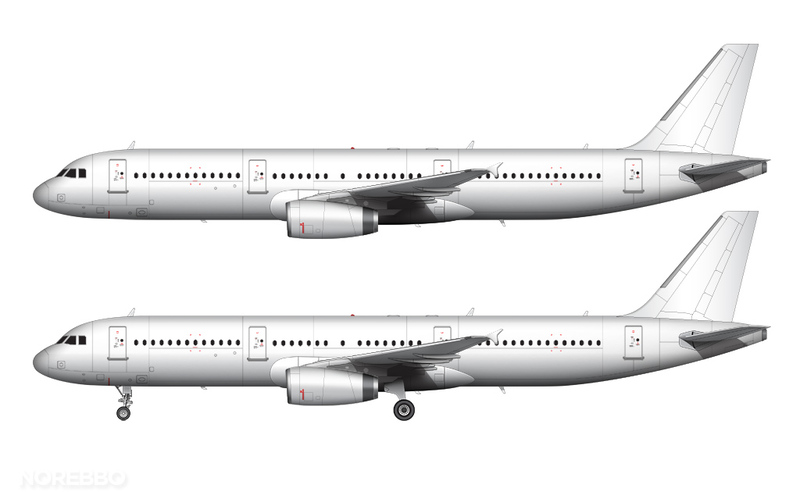 I have always seen it as a direct competitor / replacement for the Boeing 757 (probably my favorite aircraft), and the style of the A321 just falls short for some reason. Keep in mind that I’m not talking about performance figures here – I’m an artist and not an engineer after all – I’m just saying that they aesthetics of the A321 don’t seem to come anywhere close to the graceful lines and proportions of the ’75. It just looks like a small airplane that is trying to do more than it was ever designed for. Perhaps when Airbus re-engines this thing it will look better – but for now, I’m not a fan. So yeah – look for the A319 templates to come soon! Thank you very much for your blank templates. 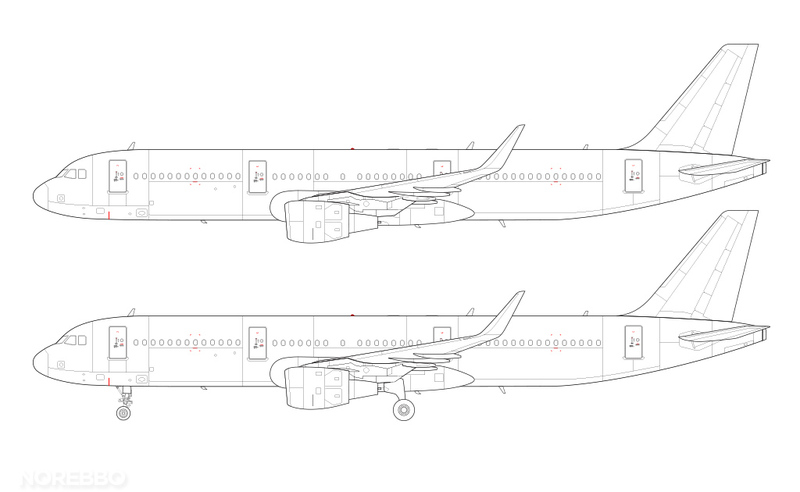 I was using your templates to illustrate SriLankan Airlines fleet. For fun, of course. I was wondering if you’ve done A320neo with CFMI LEAP-1A26 engine. Or it’s just as same as CM56 with sharklets? 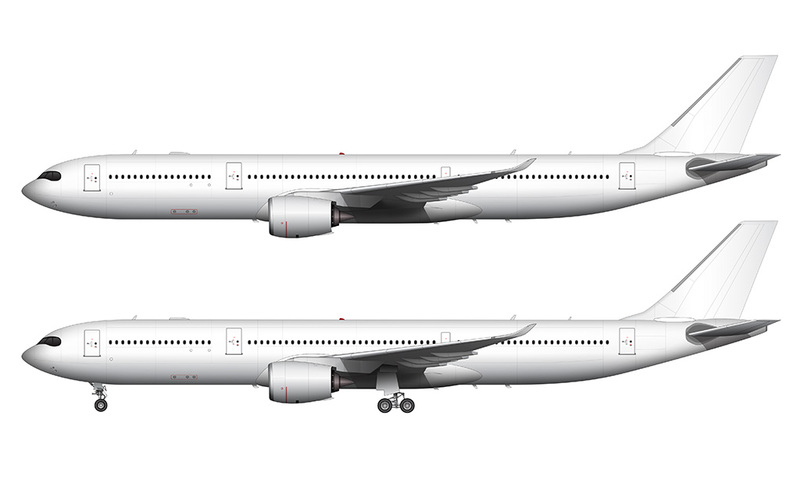 A320NEO will be coming eventually, but it will be very similar to my existing A320 templates. Not much of a difference from a side view.